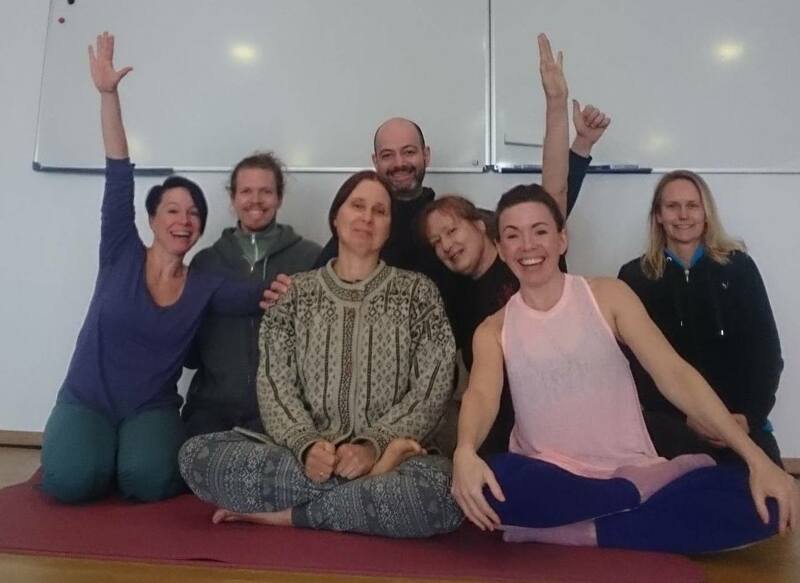 Maaja Zelmin, a second level authorized Yantra Yoga instructor by Chögyal Namkhai Norbu has visited Malmö several times for instructing Yantra Yoga. This time we were fortunate to have her give instructions precisely on the 3rd and 4th series of Yantras because we wished to deepen our knowledge of this. We went through each Yantra and how the breathing should correctly aid the movement. Yantra Yoga is very beneficial to our health and in Yantra Yoga a strong focus is given to breathing properly. The movements and the breathing in the practices are always integrated. Yantra Yoga is very closely related with Tibetan medicine and each exercise also has specific physical benefits. We thank Maaja for her everlasting encouraging teachings and feel very happy and fortunate to have had her here in Sweden again.